A short sale means the seller's lender agrees to accept a reduced payoff to release a mortgage. I'm happy to answer any questions you have regarding real estate short sales. The short answer is "sometimes". Most people hear the phrase "short sale" and routinely think of a seller that is in financial trouble and needing to sell their property promptly to avert further financial problems. This is at times the case and can be an opportunity for a buyer to take advantage of another's misfortune. More commonly, a lender may consider a short sale even if the seller is current with their mortgage, but property values have depreciated. In cases such as these the reduced price may in fact be in line with current market values rather than below. Always do your research before making any offers. Using a knowledgeable REALTOR®to support your research of a property can help you make knowledgeable decisions. We can help find out to whom the property is titled, how much is owed to the lender, and whether or not a foreclosure notice has been filed. Having this data can help you determine how much to offer. With years of short sale experience, I can assist you in ensuring that you're protected. Even with an experienced real estate agent and under the best circumstances, buying a short sale property will usually take longer than a typical real estate transaction. Know that most short sales will not close in the customary 45 days or less. Remember that you're not only having to get approval from the seller, but the lender must also agree to the terms of the sale. It's not uncommon that your offer will be sent to a committee for approval, which will add time - sometimes even up to a year. Home warranties, buyer credits and allowances, and closing cost concessions are usually not up for negotiation when working with a short sale. The lender will be selling the property "as is" which means the lender won't be paying for repairs. Be sure you reserve the right to have the property inspected for pests, HVAC, electrical, and other critical areas. When I write an offer, I'm looking out for your interests first and will always recommend that you make your offer contingent upon the outcome of the inspections. Just as with any home purchase, your wisest move is to hire a professional real estate agent. "REO" means Real Estate Owned. 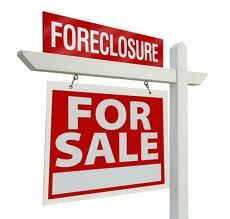 These are houses which have completed the foreclosure process and are presently held by the bank or mortgage company. This differs from a property up for foreclosure auction. If you buy a property during a foreclosure sale, you must pay at least the loan balance plus any interest and other fees accrued during the foreclosure process. You must also be willing to pay with cash in hand. To top everything off, you'll accept the property completely as is. That possibly could involve prevailing liens and even current occupants that need to be removed. A bank-owned property, conversely, is a much neater and attractive proposition. The REO property was unable to find a buyer during foreclosure auction. The lender now owns it. The lender will attend to the removal of tax liens, evict occupants if needed and generally prepare for the issuance of a title insurance policy to the buyer at closing. Do be aware that REOs may be exempt from typical disclosure requirements. For example, in Connecticut, banks do not have to give a Property Disclosure Statement, a document that usually requires sellers to make known any defects they are aware of. By hiring me I'll advise you of any extra steps that you'll need to take to protect your investment. Am I guaranteed a low price when buying an REO property? It is frequently believed that any REO must be a steal and an opportunity for guaranteed profit. This simply isn't true. You have to be prudent about buying a REO if your intent is to make money off of it. While it's true that the bank is typically eager to sell it fast, they are also motivated to get as much as they can for it. Look closely at the listing and sales prices of competing homes in the neighborhood when considering the purchase of an REO. And factor in any repairs or remodeling necessary to prepare the house for resale or moving in. 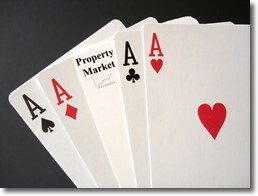 It is possible to find REOs with money-making potential, and many people do very well flipping foreclosures. Still, there are also many REOs that are not good buys and may lose money. Most banks have a department dedicated to REO that you'll work with when buying REO property from them. To get their properties advertised on the local MLS®, the lender will frequently hire a listing agent. Once you've submitted your offer, you can expect the bank to make a counter offer. Then it will be your decision whether to accept their counter, or offer a counter to the counter offer. Realize, you'll be working with a process that most likely involves several people at the bank, and they don't work evenings or weekends. It's not unusual for the process of offers and counter offers to take days or even weeks. I'm used to working around the schedules of this type of seller and will do everything possible to ensure there are no unnecessary delays.